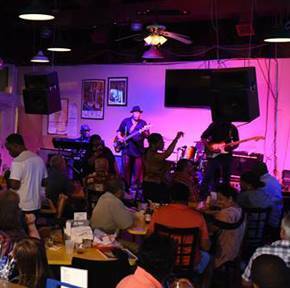 Lew’s Blue Note is a restaurant, bar, live music venue, and event space located on world-famous Beale Street. We offer delicious food, exceptional live music, and great drinks in a warm and inviting atmosphere. You’ll love the experience that awaits you! You'll Love the food, music, and fun! 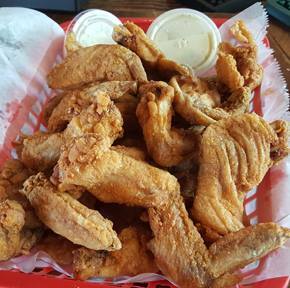 You've got to try our wings. They are undeniably the best on Beale! Planning a special event? Our spacious rear patio is the perfect setting for your celebration. Live entertainment Wednesday through Sunday and there's never a cover charge. Our spacious rear patio is the ideal setting for your private event. Whether it’s a birthday celebration, holiday party, wedding reception, or corporate event, we will help you create an unforgettable experience. 10.24.17 Celebrate Halloween 2017 on Beale Street! 5.5.17 Visit Lew’s Blue Note Bar & Grill During the Beale Street Music Festival May 5-7, 2017! 4.5.17 Visit Lew’s Blue Note Bar & Grill During the 2017 Africa in April Festival April 21-23, 2017! 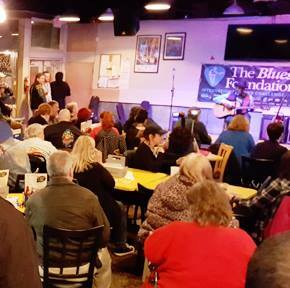 Sign-up to receive email updates from Lew's Blue Note Bar & Grill with information about news and upcoming events.